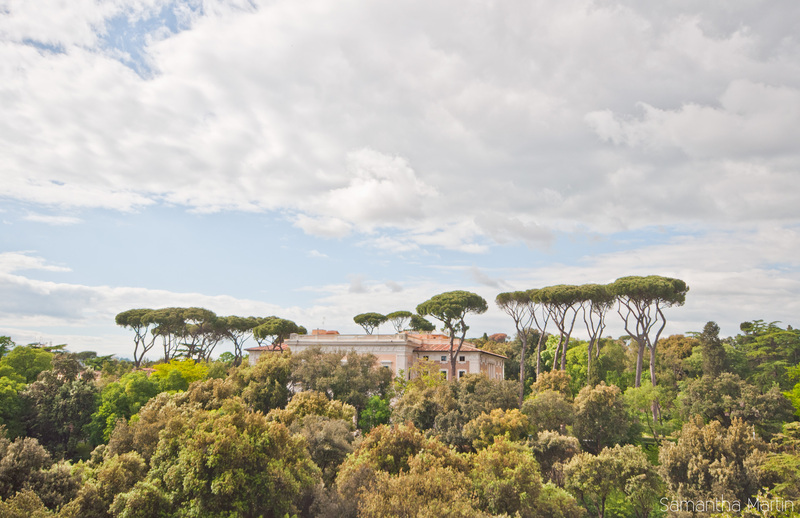 We stayed in an apartment close to the Villa Borghese gardens and it was amazing. It wasn’t the largest or grandest apartment I’ve stayed in, but it was an apartment I could imagine myself living in. It was simply adorable in all the right ways. Plus, it was conveniently located close to a tram stop, grocery store and restaurants, which made it the perfect apartment for our stay! 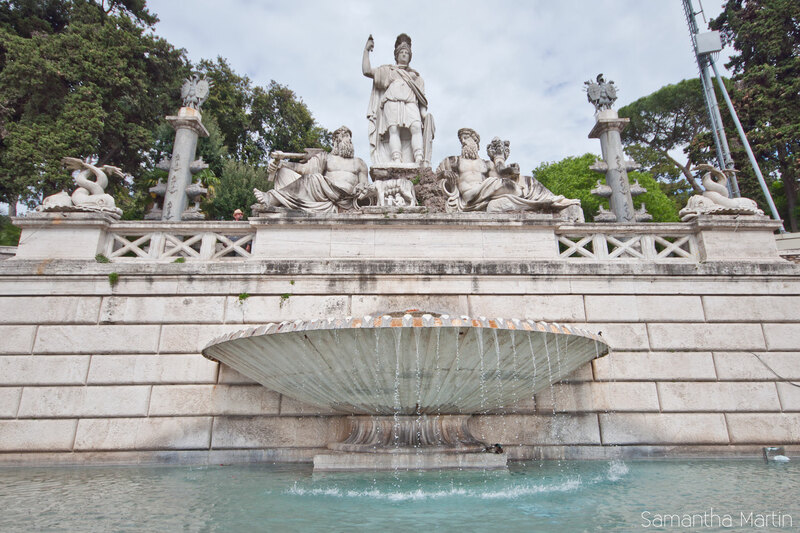 After we settled into our apartment, we decided to take a trip up to the gardens of Villa Borghese. 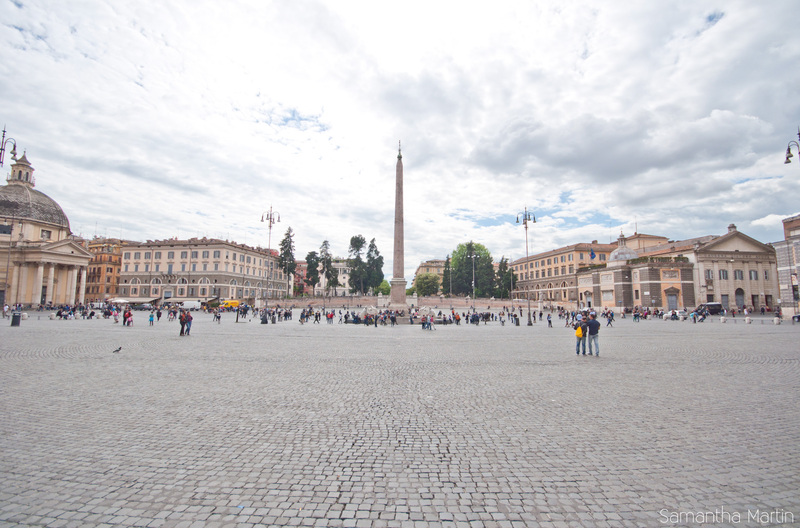 Piazza del Popolo was filled with entertainers and some interesting fountains, while the gardens themselves were very pretty and relaxing. 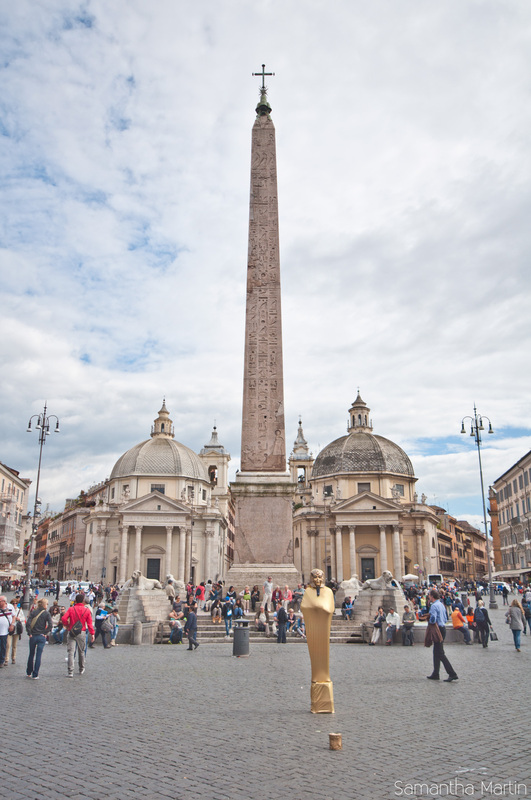 We did have to avoid the hawkers who were very persistent and sneaky, but that didn’t put a damper on our mood. 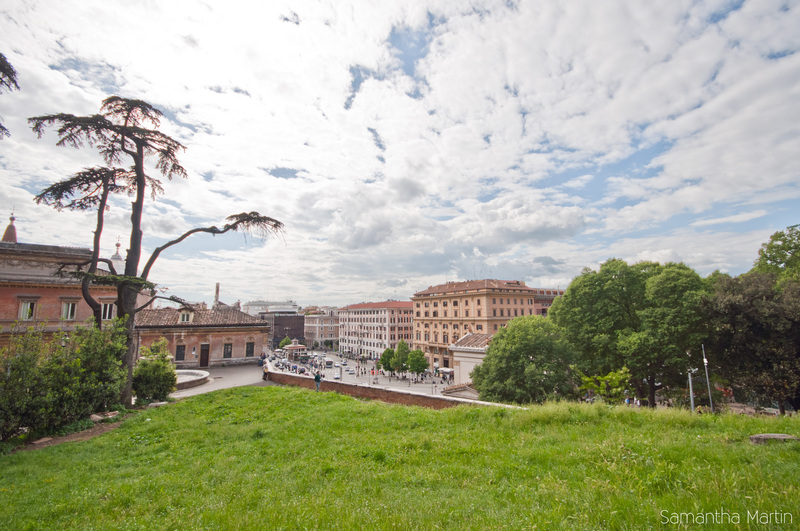 Overall, the area was great and we’d recommend it to anyone looking at staying in an affordable, convenient location in Rome. 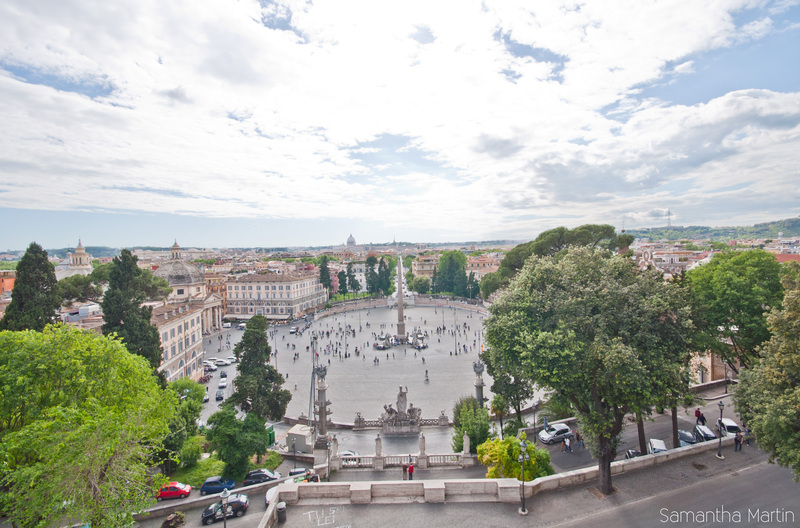 This entry was posted in Photography, Travel and tagged city, gardens, photography, piazza, Rome. Bookmark the permalink.